Sensorineural hearing loss (SNHL) is caused by the damages caused to the eighth cranial nerve which is the nerve between the ear drum and the brain or due to the damages caused to inner ear (cochlea). This type of hearing loss can be mild or severe. Most often sensorineural hearing loss is caused due to the loss of hair cells in the cochlea which is situated in the inner ear. As a person ages the tiny hair cells in the cochlea starts decreasing resulting in hearing difficulties. The sound signals received at the outer ear are not transferred to the brain for hearing and understanding them. Loud noises produced in work place or from high power sound systems can be a cause for damage of cochlea or the eight carnival nerve. Some diseases like mumps, meningitis etc can also cause damage to the ear parts which may lead to sensorineural hearing loss. Some medications like quinine, antibiotics, aspirin, streptomycin etc can cause sensorineural hearing loss. 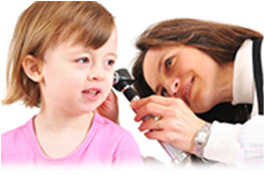 Abrupt changes in the air pressure can be a cause for this type hearing problem. Change in air pressure while travelling in an air plane is an example of this type of situation. Infection of German measles to the mother at the time of pregnancy and low weight at the time of birth can also cause sensorineural hearing loss.Tumors, hyper viscosity etc can also lead to sensorineural hearing loss. 2) Ringing or tingling sounds are usually heard by the patients suffering from this decease. Specially designed hearing aids that amplify pre set frequencies are made use of to overcome the difficulties caused by sensorineural hearing loss. Idebenone combined with vitamin E has been found to be effective in delaying the onset of this disease. This also helps in reversing the attack of this type of hearing loss. If hearing loss exceeding 150 decibels are treated within 24 hours with steroids, it has been found to produce excellent results. Sensorineural hearing loss is broadly classified into four categories. They are mild, moderate, severe and profound. Hearing aids and middle ear implants have been found to be very useful in controlling mild to severe hearing losses. Severe to profound to hearing losses of this category can be treated by cochlear implants.